Traffic in Princeton from Terhune Road to State Road 206 has been permanently detoured to allow construction of a new garage for Princeton First Aid and Rescue Service (PFARS). The new PFARS station is being constructed at a site on Valley Road, directly opposite the Princeton Police Station. The town closed part of Terhune Road to allow construction of a parking lot for the new PFARS station. The new development has no suitable traffic plan, and Princeton Council recently voted to fund a new ‘corridor plan’ to ensure safe traffic flows around the new ambulance station. For many years, the PFARS ambulance service has been hoping to relocate from their current site on North Harrison Street. PFARS acquired equipment that does not fit in their existing garage, therefore they approached the town to make an arrangement to find a new, larger site. Princeton Council agreed to provide PFARS with land on Valley Road to build a new, larger ambulance station (this plan was previously reported at walkableprinceton.com early in 2018). 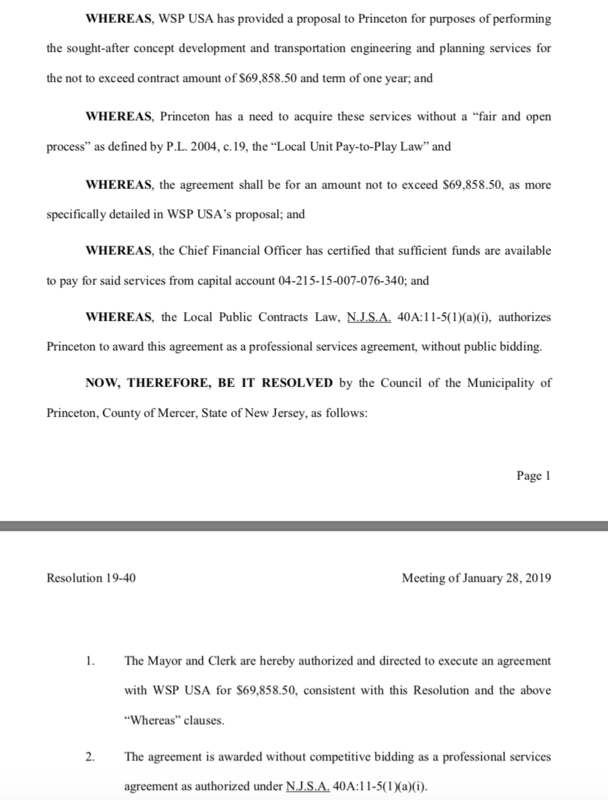 Through an Open Public Record Access request, we also obtained the full terms of the town’s Memorandum of Understanding with PFARS, which outlines the town’s role in helping to construct the new garage. Last year, the Princeton Zoning Board unanimously agreed that the ambulance station should be built, despite the new location being in a residential zone. This decision was also reached despite complaints from local residents that the plan to close part of Terhune Road was being advanced without any suitable traffic study. Municipal staff said that they were working to ensure that traffic impacts arising from the closure of Terhune Road would be minimized. 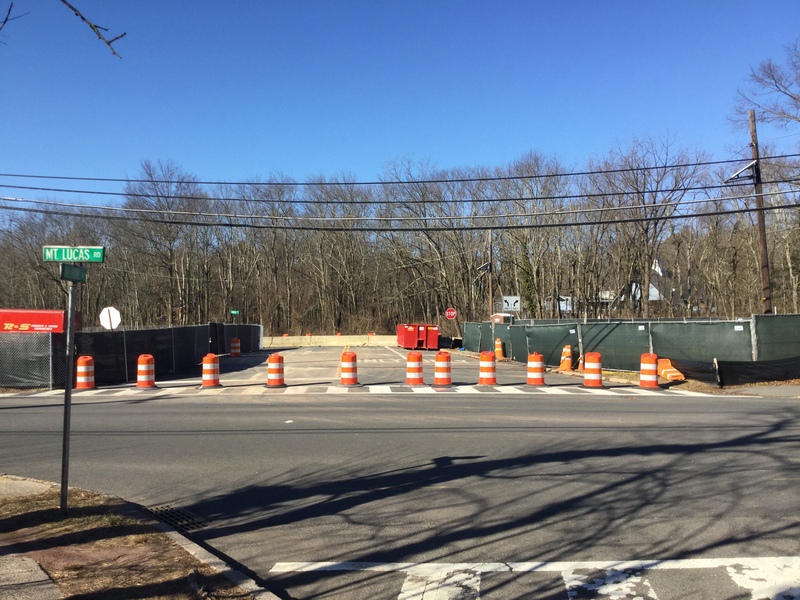 However, when the intersection of Terhune Road at US-206 was finally closed in January 2019, the town of Princeton had still not put in place compensating traffic arrangements. Princeton Council passed two resolutions at their meeting on January 28, 2019 to address traffic planning issues. First, Council approved a $15,000 contract with I.H. Engineers, P.C. to review development applications on behalf of Princeton’s Land Use Boards, with specific attention to traffic engineering. Second, Council approved a $70K contract with WSP Parsons Brinkerhoff for a “Route 206 Corridor Assessment Study Related to the Princeton First Aid and Rescue Squad Closure of Terhune Road at US Route 206”. The contract was awarded without competing bids, as has been the case for several consultant deals awarded by the town, because the dollar amount is below a threshold set by the state. The WSP consultants are in an excellent position to consider the potential effects of closing Terhune Road at Route 206, because the road closure already happened last month. 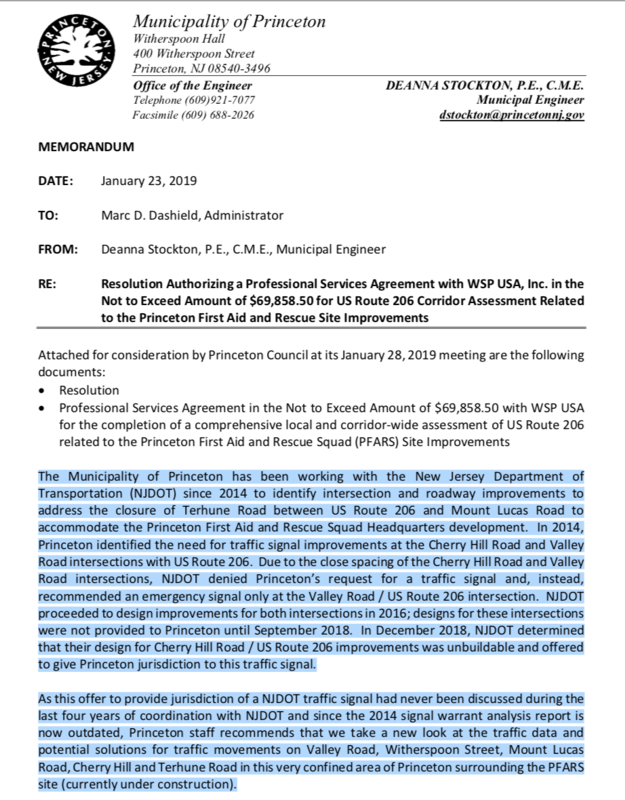 Nonetheless, the contract is complicated, because Route 206 is a state road, and therefore outside the control of the town of Princeton. The town’s original plan to install a traffic signal at US-206 and Valley Road was rejected by the New Jersey Department of Transportation. According to documents provided by the Engineering Department to Council, there was a breakdown in communications between the town and the state regarding what traffic improvements would be feasible around the new PFARS garage. This partly explains the lack of a suitable traffic plan after closing Terhune Road. Although previous attempts to create a suitable traffic plan around the new ambulance station have been unsuccessful, the new traffic study has the potential to consider both car traffic and road improvements which might improve connectivity for people on foot and using bicycles. Engineering staff from the town are considering a range of options to improve traffic flow, specifically focusing on drivers attempting to turn left onto Route 206 in the area of Terhune Road. The closure of Terhune Rd at US-206 is focusing traffic onto the intersection of Route 206 and Cherry Hill Road. The risk is that left-turning traffic may be in conflict with other traffic at this intersection, leading to an increased rate of crashes. The new PFARS site also straddles a residential area and the large green spaces of Community Park South and Mountain Lakes Park. An effective street plan would consider how to safely move cars and people using other modes of transportation. Although the planning for a final traffic configuration appears incomplete today, it is possible that the final design could improve quality of life for everybody around the new ambulance station. This entry was posted in Alternative Transportation, Biking, Complete Streets, planning, Zoning and tagged bicycles, Princeton, traffic. Bookmark the permalink.